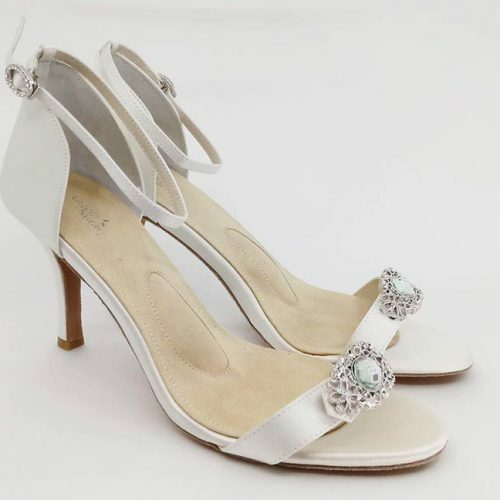 Grace Royale | Off white silk pump with hand beaded sequin flower. 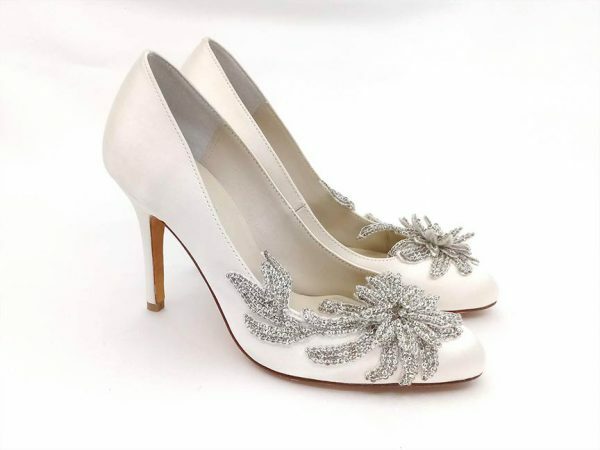 Grace Royale is a gorgeous off white silk pump features a hand beaded sequin flower. 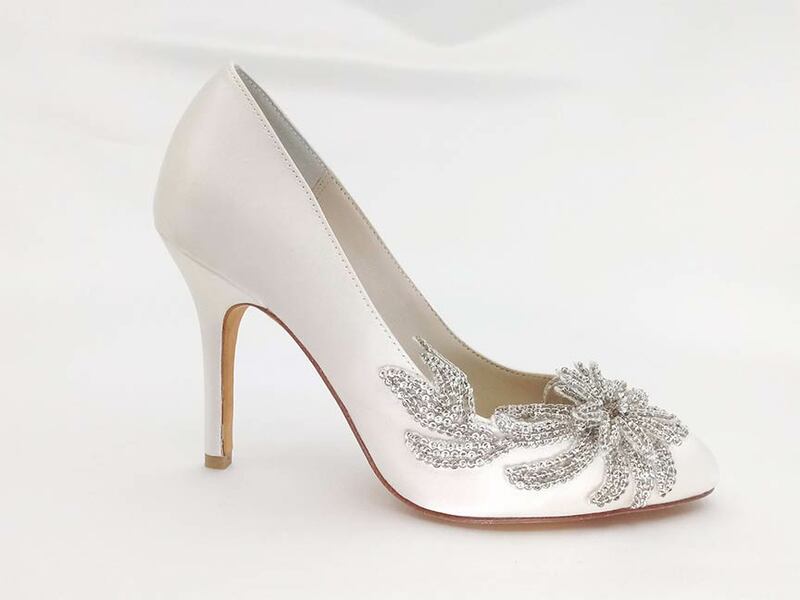 The lucky lady who gets this pair will save more than $1000 over the cost of the mega expensive famous designer original. These samples were displayed in a store and the leather soles are a bit worn. 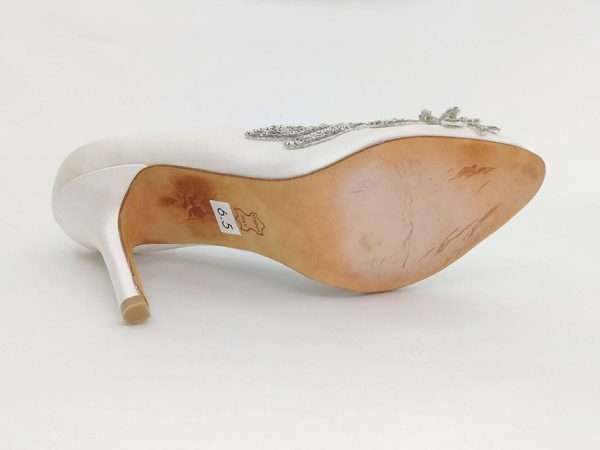 The heels are 3.75” and the shoe runs snug. 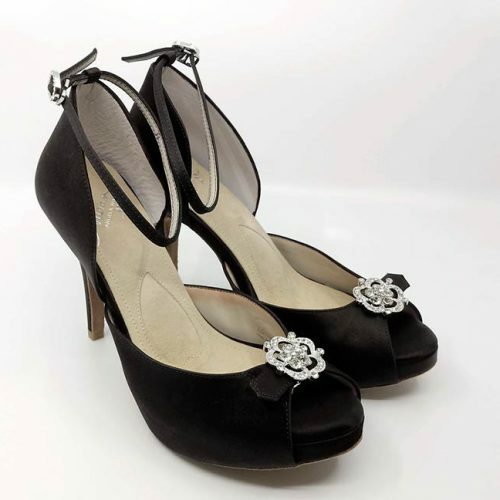 Would fit size 6 or a narrow 6.5.